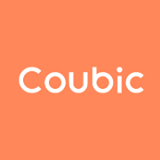 How to manage customers – Coubic Inc.
Once your customers make reservations, those information will be saved in customer database which you can access anytime you want. Below is the list of customer information which will be accessible. Along side with the information above, you can take note for yourselves to keep track of your customers. Via "My Customers" tab in the dashboard view. Via Reservation book for each page.